Sunrisers Hyderabad and Gujarat Lions face off in what will be their last group stage match, in Kanpur. The defending champions, who are currently at fourth spot on the table, need a win to ensure they qualify for the playoffs. On the other hand, the team from west are out of the race for top four but will want to finish their season on a high. Though SRH can qualify even if they lose the match, they wouldn’t want to leave anything to chance. 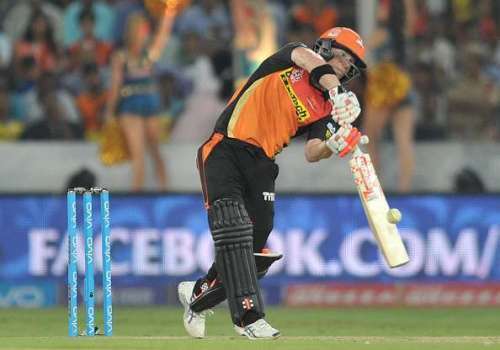 In a possibly season-defining match, David Warner-led SRH will want to make sure they don’t let a season of hard work go waste. With everything at stake here for the Orange Army, here’s a probable list of XI players who will take the field in the first fixture of the day. The diminutive Australian, like last year, has set the stage on fire and has gone on to slam 535 runs in 12 matches, including a century and three fifties. Currently holding the orange cap, Warner has the playoff berth in his sight and will be leading the team from the front today. The southpaw will be willing to get among the runs after a one-off failure against Mumbai Indians in the last match and one can expect a big score from him in the Green Park. The Delhi-batsman celebrated his selection for the Champions Trophy with style and slammed a 46-ball-62 against MI after his captain got out. He has been a more than able partner for Warner up top and is currently the second highest run-getter of the tournament with 450 runs. He, along with Warner, is responsible for providing Hyderabad with a fiery start. The Kiwi batsman has had a decent tournament, scoring 232 runs in six matches. With Yuvraj Singh possibly missing out due to injury, Williamson will have the responsibility to keep the ship steady in the middle overs and lay a platform for the power-hitters to take the team to a big total. The all-rounder has been a vital cog in the Hyderabad wheel. Though he has not been as good with the ball as he was last season, his contributions with the bat have come at important times for SRH. One of them being in the last match against Mumbai where he scored a 35-ball-44 and stitched a crucial partnership with Dhawan after Warner lost his wicket early on. Hooda, who has been completely out of sorts this season might be brought into the team to replace Yuvraj. Though he has only scored only 78 runs this season, there is no denying that he is a talented batsman and can take any team apart on his day. That he bowls a bit of off-spin is an added advantage. Ojha has been batting too low this season to openly express himself. However, there is no doubt that he has been one of the better wicketkeepers of the tournament. With the ability to bat anywhere in the batting order, Ojha would want to prove his worth if called upon. Shankar has played two matches this season for SRH, both against Mumbai Indians. While he is a decent middle order batsman, he can chip in with an over or two of medium-fast bowling as well. The UP speedster has been highly influential for his team, picking up 23 wickets in 12 matches with an economy of 7.06. Though he has cooled down in the last few matches, he is well versed with the conditions at Green Park stadium in Kanpur and might be a tough nut to crack for the Gujarat Lions batsmen. He’ll also want to extend his lead at top of the highest wicket-takers list and ensure he keeps hold of the purple cap come the end of the season. Rashid Khan has done a splendid job this season for SRH and has repaid the faith showed in him by the team management. The Afghanistan international has bagged 14 wickets at an economy of 6.52 in 12 matches – stellar numbers for a debut season. The 18-year-old, though economical, has not been able to pick wickets consistently in the last few matches and will want to improve in that department to ensure his side go through to the playoffs without any hiccups. A lot of Indian youngsters have attracted everyone’s attention this season with their enthralling performances and Siraj is one of them. 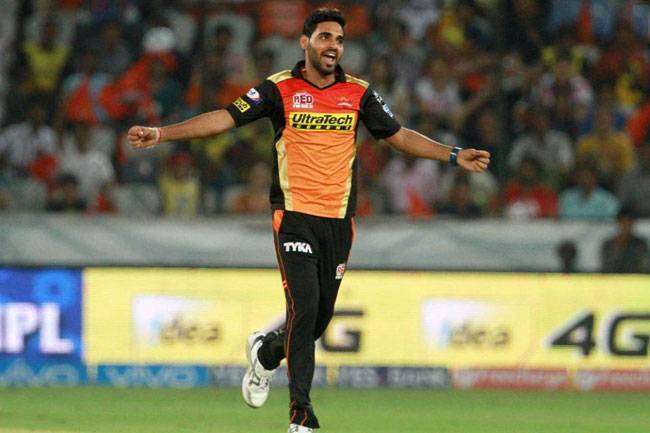 Bought for a massive 2.6 crores in the auction, the Hyderabad speedster has picked 6 wickets in five matches. Kaul has been one of the best performers amongst the uncapped players and has picked up 15 wickets in just 8 matches. With a season-best figure of 4/29, the 26-year-old has certainly made a mark and would want to maintain the consistency with which he has performed.